In a further sign of US preparations for war against North Korea, the Pentagon’s top general is currently in South Korea for talks with the country’s president and leading military officials before visiting Beijing and Tokyo. “As a military leader, I have to make sure that the [US] president does have viable military options in the event that the diplomatic and economic pressurization campaign fails,” Joint Chiefs of Staff Chairman General Joe Dunford told the media yesterday from Osan Air Base. “Even as we develop those options, we are mindful of the consequences of executing these options,” Dunford added, saying this added to the sense of urgency in ensuring a diplomatic solution. The US and South Korean militaries are about to conduct another round of joint war games that will again fuel tensions on the Korean Peninsula. The annual Ulchi-Freedom Guardian drills, which will run from August 21 to August 31, have already drawn criticism from North Korea. Tens of thousands of American and South Korean troops are expected to take part in training for a war with North Korea. Japan is also conducting joint military exercises with the US in the next few weeks. The Defence Ministry informed the media that the Japanese military was also deploying a US-supplied land-based missile interception system, known as a PAC-3, to four different locations in Japan. Top Trump administration officials yesterday attempted to play down the danger of nuclear war with North Korea in the wake of President Trump’s stream of highly provocative and reckless remarks last week threatening to take military action against the small, impoverished nation. 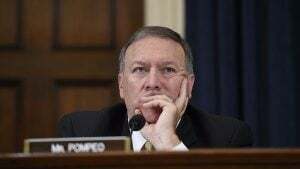 As well as being completely unconvincing, the very fact that Pompeo felt compelled to downplay the prospect of an imminent nuclear war indicates that the matter is being actively discussed within high-level White House and military circles. While indicating divisions within the Trump administration, the remarks of Pompeo and McMaster are hardly reassuring. Trump’s inflammatory threats have become a factor in exacerbating tensions and the danger that even a small incident, either deliberate or accidental, could trigger a conflict that spirals out of control. North Korea, which has been boxed into a corner, can only conclude based on Trump’s rhetoric that it confronts the danger of an imminent US attack unless it accedes to Washington’s demands. An abject capitulation, which would only lead to new American demands, would further destabilise the already unstable regime. In response to Trump’s threats, Pyongyang has lashed out with its own warnings in a desperate bid to stall any US attack. 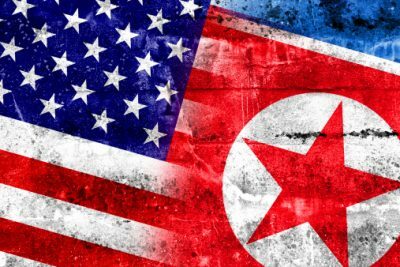 Last week, the state media KCNA reported that the country’s military leaders were preparing a proposal to present to Kim Jong-un to fire four intermediate-range missiles into the sea off the American territory of Guam, home to key US military bases. The instability in Pyongyang, however, is matched by that in Washington, where Trump is facing ferocious political infighting over allegations that his election campaign team colluded with Moscow. Amid a deepening economic and social crisis embroiling the US, the possibility of Trump plunging the world into war in a bid to divert internal tensions cannot be ruled out. In the final analysis, it is Trump who has the power to order an attack, including with nuclear weapons, on North Korea. Moreover, he has the backing of powerful sections of the American ruling elite that regard the removal of the Pyongyang regime as a necessary part of a broader strategy of undermining and subordinating China. In a phone call with Trump over the weekend, Chinese President Xi Jinping again called for restraint on both sides—in Pyongyang and Washington—and declared that China was willing to work with the US to push for an “appropriate solution.” Beijing is calling for a freeze on North Korean weapons testing and also on joint US-South Korean military exercises—something Washington has repeatedly rejected. Even if a means is found to pull back from the brink of war, Trump’s incendiary threats have fundamentally altered the calculus of geopolitics, not only in North East Asia but internationally. He has made clear to allies and rivals alike that the US is willing, to use the phrase of Cold War nuclear strategists, to “think the unthinkable”—that is, plan for and launch a nuclear war. Every other power will now be forced to rethink its own military strategy, greatly heightening the danger of a catastrophic world war.